new patterns and a sale! Whew! It's been so busy around here, although I haven't been able to show you many things lately since most of my time has been devoted to working on projects for my upcoming book. So, I'm glad that I can finally share these with you! This has been quite a labor of love, as we've finally got my new patterns formatted for instant download as a PDF in my etsy shop, as well as ready for print. I've been contacted by a large distributor, and I'm in the process of getting everything ready to them, so I hope that you'll see some of my Heather Jones Studio modern quilting patterns on the shelves of some of your favorite fabric and quilt store soon! Let me tell you a little about each one of the new patterns. 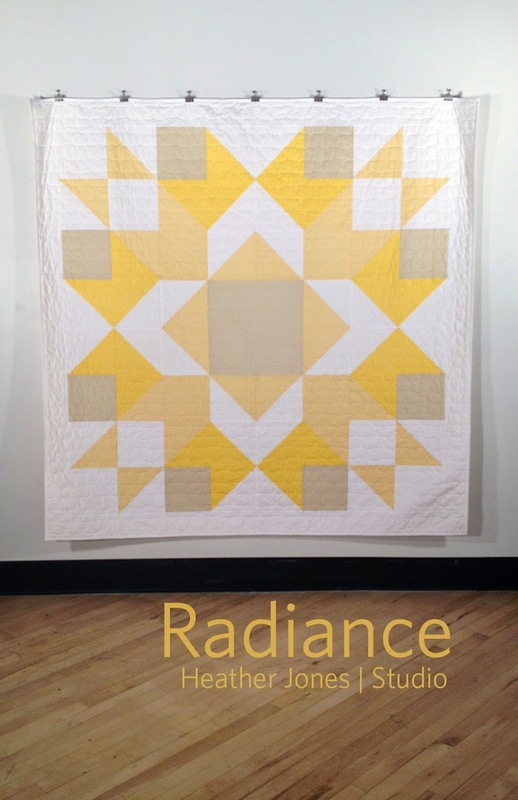 First up is my Radiance quilt. This is one of my favorites, although to be honest, I feel like that about all of them, especially as I'm constructing them. But really, I love this one. 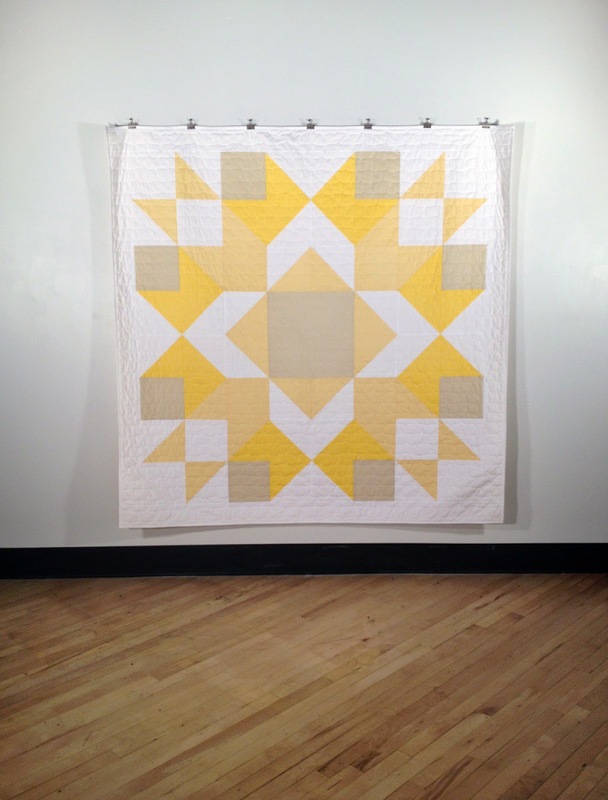 This quilt was inspired by the Arrow Crown, a traditional quilt pattern. As you can see in my version, I've increased the scale of the block so much so that it makes up the entire front of the quilt. It consists of half square triangles and squares, so it comes together pretty quickly. I used four solid cotton fabrics, all from the American Made Brand line: White, Light Yellow, Dark Butter, and Dark Yellow. And here's a peek at one of the interior pages of the pattern. Jeff and I worked really hard to come up with a layout that I think works really well, and looks really nice, if I do say so myself. Next up is Fly Away, which again, is one of my favorites. I really love the navy and hot pink that I used in this version, but I think it would look amazing in many other color combinations as well. This quilt is based on the traditional Winged Square pattern and again, I've increased the scale so that one block makes up the entire quilt. It's got more half square triangles and, due to the increase in size of the patchwork units, it goes together pretty quickly as well. I used three American Made Brand solids for this quilt: Light Khaki, Light Navy, and Dark Raspberry. 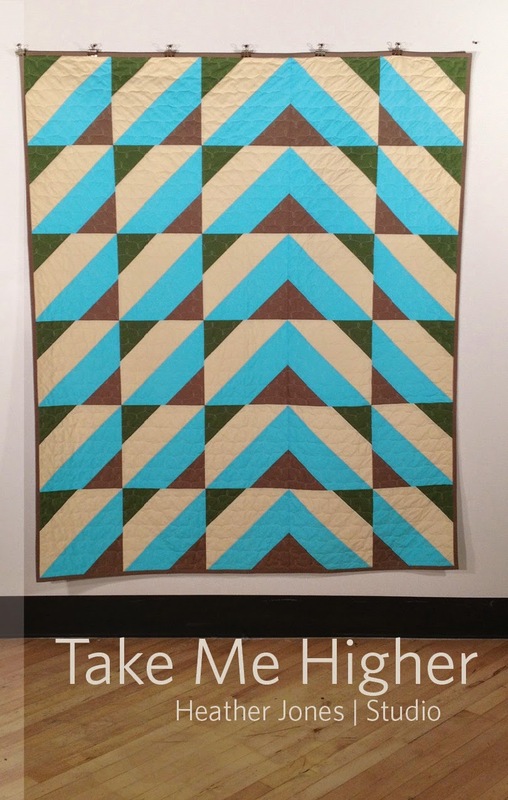 Take Me Higher is another brand new pattern of mine. This design was actually destined for my book, but it didn't turn out quite like I had thought it would, so I scrapped it and came up with another project in its place. This quilt is a block based design, each of which is identical, but the pattern comes from the placement of the blocks, and changing the orientation of some of them. I used four American Made Brand solids: Dark Butter, Dark Taupe, Aqua, and Olive. 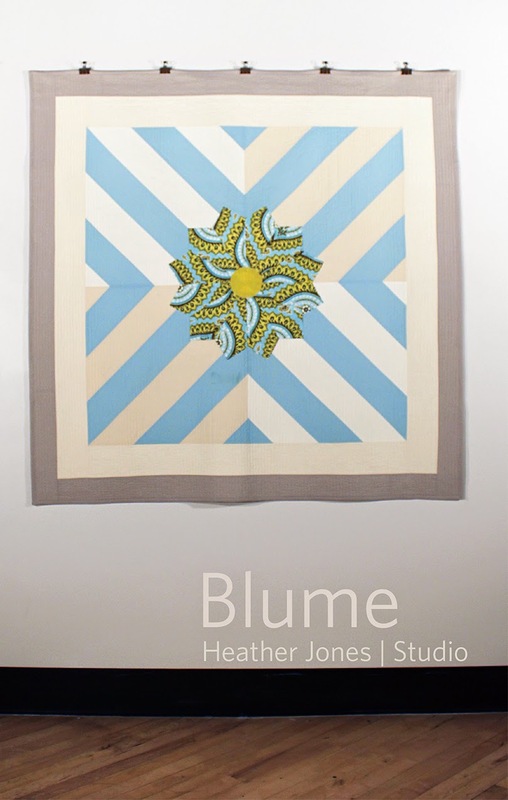 Next up is Blume, which is the pattern for my Gelassenheit quilt, which you can see here and on the header of my blog. The background of this quilt contains four strip pieced blocks and it features a large Dresden Plate that is appliqued to the center of it. 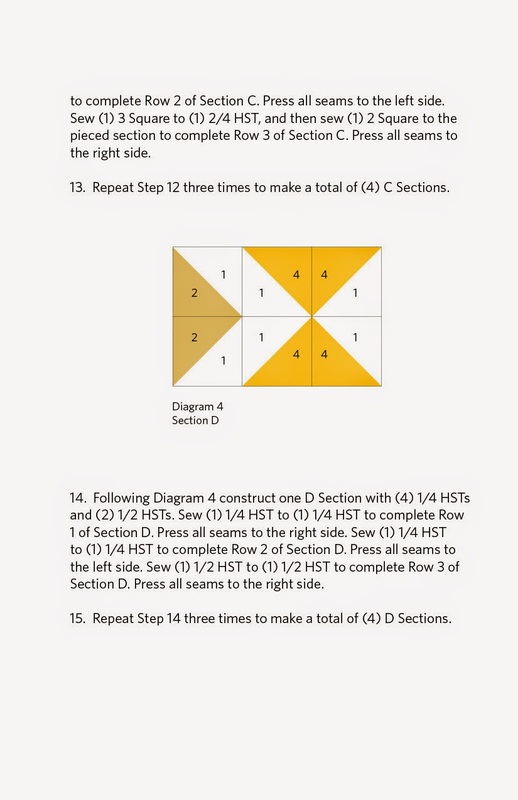 This quilt is not quite as simple to construct as many of my other patterns, but I think it is suitable for a confident beginner quilter, as well as those with more quilting experience. I've made the instructions very detailed and the pattern includes two full-scale template pieces, one for the Dresden Plate and the other for the center circle. You may have seen this quilt before, but not in these colors. 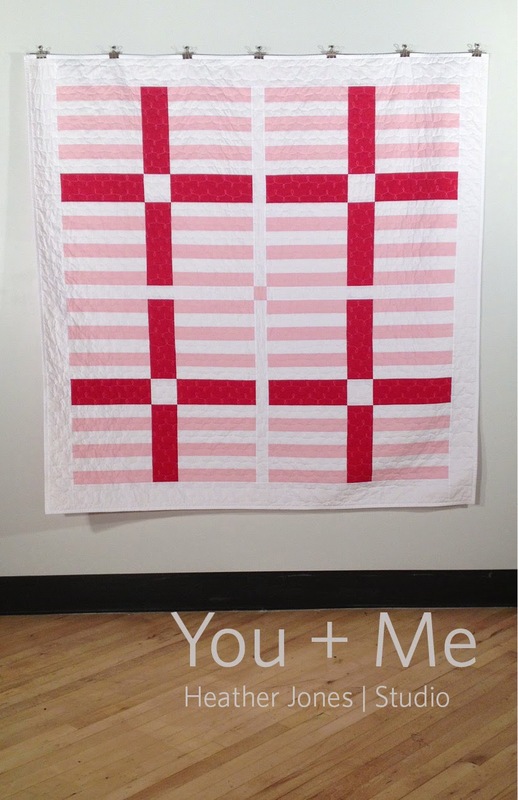 This is my You + Me quilt, which was originally published in the inaugural issue of Generation Q back in 2012. 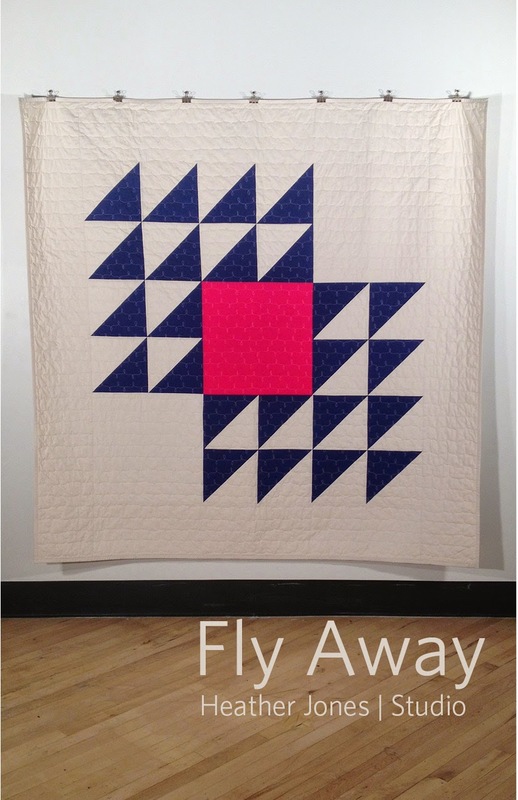 When I designed this quilt a few years ago, I had planned to use these colors of red, pink, and white in its construction. But the folks at GenQ asked me to make it in other colors for the magazine, which I happily did. I'm so glad that I had the opportunity to make this quilt in my original colors though, and I'm also glad to finally have the pattern available to you as well. This uses three American Made Brand solids: White, Light Pink, and Light Red. Here's another quilt that you may recognize. 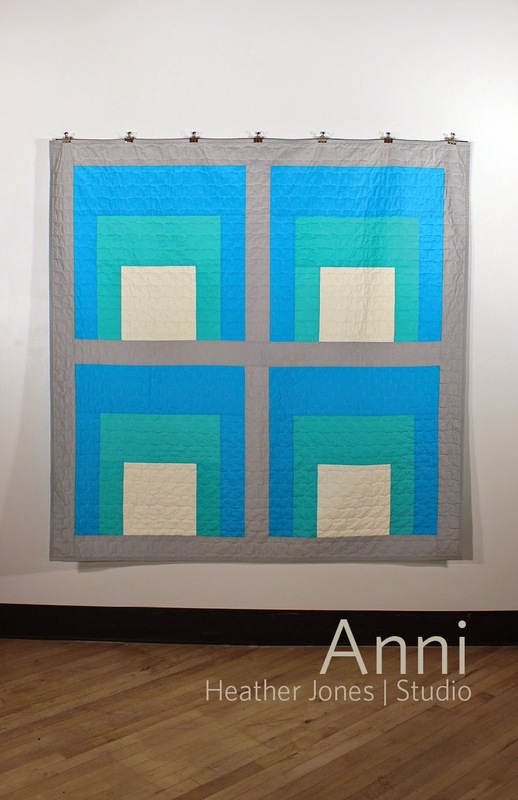 This is my Anni quilt, although remade in a new colorway. This is the first time I've offered the pattern for this quilt too, and I'm glad to finally have it to share. The original quilt was made in a monochromatic colorway of four shades of pink, but I used a totally different color story for this version. This uses four different American Made Brand fabrics in Cream, Dark Turquoise, Dark Aqua, and Light Gray. And lastly, while this pattern is not new, I have totally reworked it. 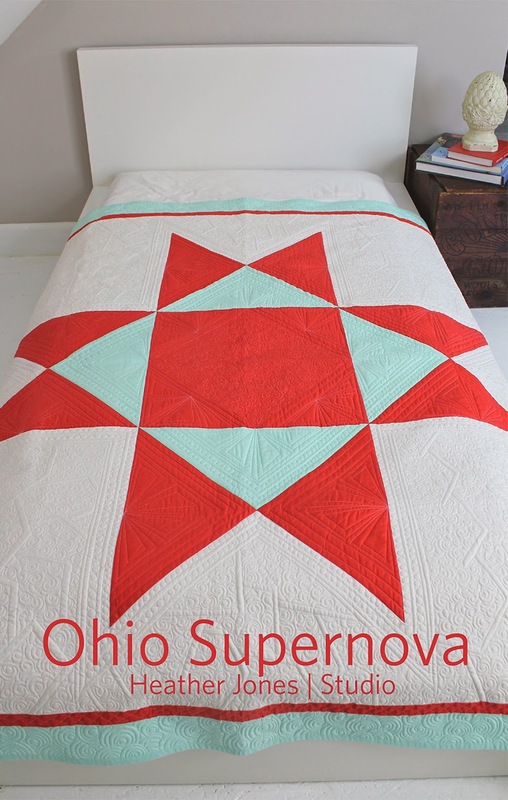 This is my Ohio Supernova and it was one of the first patterns that I wrote. The pattern has been completely redesigned now, allowing it to have less piecing, particularly in the borders of the quilt. All of these patterns are available for instant download in my etsy shop. And to celebrate their release, they are all on sale through June 30, 2014 for 15% off. Just use the code SUMMER in your checkout to receive the discounted price.